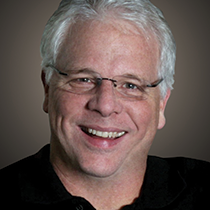 Mike Glenn explains the two step process on how to model your life according to Christ. Somehow, in a way that only artists can see, Michelangelo looked at a block of marble and saw David inside. The type of marble used for the statue is very difficult to work with and has to be sculpted by chipping away very small bits or the marble will crack. He patiently worked until all that was left was a statue of a man so realistic you expect David to talk to you. Discipleship is a lot like this. We look at Christ, then at our own lives and chip away everything that doesn't look like Him. This process begins in worship. In worship, we behold the compelling image of Christ. Everything God wanted to say is in Christ. . . the Word became flesh. As we encounter His Presence, we are drawn to become more like Him. This involves a two-step process. Paul describes it in Colossians 3. We put to death everything in us that resembles our old natures and we put on our new natures in Christ. We look at Christ in worship and first, we remove from our lives those things that don’t look like Him. We put on those things we see in Christ, but don’t see in our lives. This is the step most of us miss. The word “No” is an important word and we do say No to a lot of things. Yet, No, in and of itself, isn't enough. We also have to say Yes to the attributes of the Godly life Christ modeled for us. Think about it. Let’s say you got rid of everything in your life that wasn't pleasing to Christ. That’s why the Yes of the gospel is so critical. God desires for our lives to be filled with good things that last — the things Jesus showed us in His living. What is in your life that you need to get rid of? What is lacking in your life that you need to add? You can’t rush this process. Masterpieces require a patient, but determined touch. Are You Living for Things?